Need a trim? Want a fresh new cut for spring? 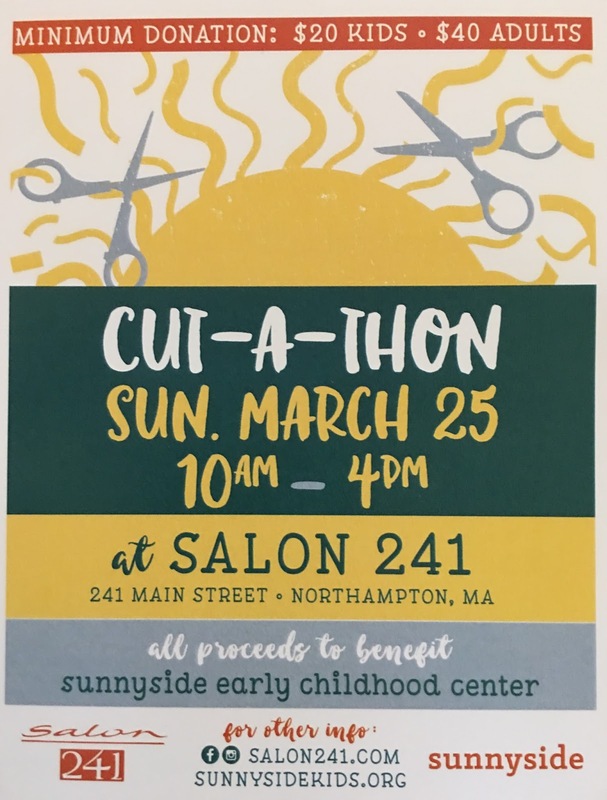 Stop by Salon 241 on Sunday March 25th from 10 - 4 and talented stylists and Sunnyside moms, Andrea and Katie will hook you up! *All proceeds raised will go directly to classroom materials and resources to enrich the experience of our young learners and support our teachers in being able to do their jobs to the best of their ability.